How many capsules should I take per day? Adults: 2 capsules before bedtime. Children: twice a day, 1 capsule in the morning and 1 capsule in the evening. Smokers/Drinkers: 4 capsules before partying. Does Ag-Factor™ brighten only the skin on my face? Ag-Factor™ helps brighten skin all over the body. What will happen to the improved skin if I stop taking Ag-Factor™? There are no known side effect even after customers stop taking Ag-Factor™. How safe is this product? Ag-Factor™ is 100% safe for consumption. Ag-Factor™ is a product of European technology and consist of natural key ingredients such as whey protein (cysteine peptides) approved by the US FDA as GRAS (Generally Recognised as Safe). 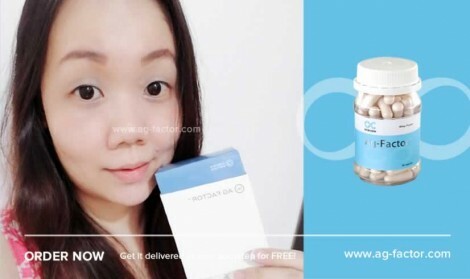 Ag-Factor™ is packaged in Malaysia by GMP (Good Manufacturing Practice) approved factory. Where does Ag-Factor™ originate from? Its ingredients are imported from Europe, Japan and the USA before being packed in Malaysia by GMP approved factories. Do I still need to apply sunblock and skincare products while taking Ag-Factor™? Yes. Sunblock plays an important role in protecting skin especially for those living in humid countries like Malaysia. For skincare, just choose any range of hydrating products. The reason for this is humid weather causes a loss of moisture, causing our skin to become dehydrated and leading to either increased oiliness or sensitivity. Can Ag-Factor™ clear up my pigmentation, dark spots or freckles? Ag-Factor™ is very effective against signs of aging and pigmentation/dark spots. Even modern laser treatments are not able to completely clear these and can only lighten them at best. Also, most people will experience overly sensitive skin post laser treatment. Such side effect can be easily avoided by taking Ag-Factor™ instead. Is Ag-Factor™ safe for pregnant women and breastfeeding mothers? This may vary from one person to another. Therefore, it is advisable that you consult your doctor before begin taking supplements of any kind. What is the difference between Ag-Factor™ whey protein and other similar ingredients in the market? Ag-Factor™ contains concentrated whey protein, consisting of cysteine peptides. Each capsule of Ag-Factor™ is equivalent to 2000 glasses of milk. Should I continue taking collagen after I start Ag-Factor™? No, you can stop taking collagen altogether. 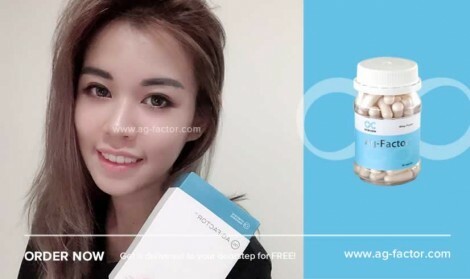 Ag-Factor™ enables your body to work more intelligently and trigger the production of glutathione, the “master antioxidant", thereby indirectly producing collagen. Is Ag-Factor™ safe for individuals who are on blood-pressure medications? Yes, it is safe for individual who are on blood-pressure medications. For how long should I take Ag-Factor™? You should obtain satisfying results after 3 months. You can then continue taking it or take a 1-2 months break. Start again whenever you feel necessary. Your skin texture will not revert to its previous state drastically like it does with other products in the market. You will still retain your new enhanced complexion. Ag-Factor™ contains extremely low amount of lactose, therefore will not trigger your symptoms. As for individuals who suffer from milk protein allergy, on any medication or have a medical condition, it is advisable that they consult their healthcare practitioner. Ag-Factor™ is contraindicated for people who have a history of hypersensitivity to milk protein. Are there any age restriction for Ag-Factor™? Ag-Factor™ is suitable for anyone between the age of 11 - 65. If this ever occur, our support team will promptly contact the carrier to resolve the issue as quick as possible to minimise any inconvenience. You will be kept informed of the progress of our investigation at all times, and a replacement will be delivered to you when necessary. The delivery timeframe is an estimation of when the items will be delivered to your shipping address. 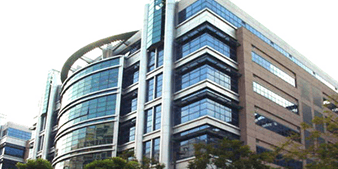 It includes warehouse processing plus carrier delivery period. Once the items are shipped, you will receive a notification email along with the carrier and tracking information. Deliveries will be made between 8am and 5pm. We are unable to provide an exact delivery time but you can check the estimated delivery date by the carrier online. Will any signature be required on delivery? Yes, and if you can’t be at home to receive the delivery, you may consider shipping your purchase to an address where someone you trust will be available to sign for it. Alternatively, you can have it delivered to your business address (Please include the business name in the address details). Please note that your purchase may be left at the reception counter. What if nobody is at home on the scheduled delivery date? As our carrier requires a signature, they will leave a calling card. You can then contact them to reschedule another suitable delivery date and time, or provide them with a different delivery address. What countries do you ship the products to? We ship to all countries worldwide without any restriction. Is the shipping package discreet? Yes, all items are shipped in discreet packaging. Our packing will not carry any marking that may give away its content. For extra precaution, we require signature on delivery to further ensure your privacy. Will my credit card be rebilled? No. You will only be charged for your purchase without any further charges. It will appear as either PayPal or Onecare Wellness. What if I don’t own a credit card, will I still be able to purchase your products? Yes. Other than through credit cards, we also provide you with the options of making payments via bank transfer or Western Union. What is the difference between Ag-Factor™ and Praventac™? Ag-Factor™ is for anti-aging and skin brightening. It also helps to enhance the immune system and detox blood in the liver. Praventac™ is for problematic skin, like acne, acne scars, blemishes and black/whiteheads. I have unflattering dark circles around my eyes, and my eyes always appear puffy. Are there any products that can help me with these problems? One of our bestselling products- Ag-Factor™ is known to help improve the skin’s overall complexion, puffiness and dark circles around the eyes. 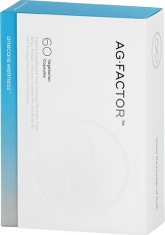 Ag-Factor™ helps the body to boost the production of natural collagen and glutathione, resulting in healthier skin layers and reduction of hyperpigmentation, while detoxing the body and improving blood circulation. When all this benefits are combined, one of the reported outcome would be the lightening and minimizing of the appearance of puffiness and dark circles around the eyes. Does the whey protein in Ag-Factor™ help with cell regeneration? Yes it does. The whey protein in Ag-Factor™ contains cysteine that the body needs to produce glutathione, and glutathione is essential in cell regeneration. Why should I choose your products over the other products that are abundantly available in the market, some at a much lower prices? The main reasons why you should always choose Onecare Wellness/Orique as your beauty and health companion is that quality is always our priority. We are proud to say that an extensive amount of time, money and human resources are invested into the research & development of our products in order to provide only the most efficacious, safe and natural formulations possible for our customers. Our formulas incorporate only the top of the line premium imported ingredients in their optimum condition, and in generous quantities that ensures the highest efficacy. Our selection and usage of premium ingredients easily surpass even the most expensive luxury brands, as we strongly believe in providing customers with nothing but the best products and services. And it is safe to say that our commitment in doing so has been rewarded with grave reviews and decades of loyalty from customers who swear by our products. Feel free to browse through real testimonials from actual customers on both our websites and Facebook pages. Will taking this product lead to weight gain? Rest assured that none of our products contain any ingredient that might lead to weight gain. This is because we use only third party tested and scientifically validated ingredients that would only benefit the human body. I’ve read somewhere that consuming too much whey is not good for the heart as it might clog the arteries. Should I be concerned? No, whey protein will not lead to heart problems. In fact, whey protein has been proven to improve heart health. Studies has shown that whey protein actually reduces risk factors associated with heart disease. This is due to its ability to lower LDL(Low Density Lipoprotein) cholesterol and triglyceride levels in our body. There are also studies suggesting that whey protein may actually reduce the damage to blood vessels and heart, especially among people who suffer from hypertension as it may help to reduce blood pressure. Can I take this product while pregnant or breastfeeding? This may vary from one person to another. Although our products are made from 100% safe and natural ingredients,we still advise all pregnant or breastfeeding customers to consult their doctors prior to taking supplements or beauty products of any kind.This is because during pregnancy or while breastfeeding,your body would have specific nutritional requirements,and most beauty oral supplements and products are not specifically formulated as pregnancy or breastfeeding supplements. Can I take this product if I am taking medication? It is highly unlikely that our products will adversely interact with pharmaceuticals. However,as even purely natural foods have the possibility of reacting with some prescription drugs,we advise that you consult your medical practitioner prior to taking any form of supplements. This is especially crucial if you are under medical supervision for any specific medical condition. At Onecare Wellness,we always prioritize the health and safety of our valued customers. 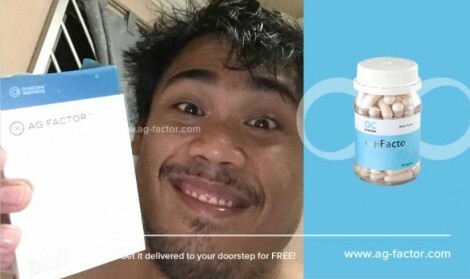 I have read that dairy creates acne in some people and it made me wonder how would Ag-Factor™ help acne if it contains whey protein,which is dairy? We understand your concern,but rest assured that you have no reason to be concerned. Cysteine Peptide is a substrate of whey protein and the cysteine peptide in Ag-Factor™ is but a tiny component of whey's complete profile of amino acids. It is a whey protein hydrolysate,meaning that it has been partially broken down as the bonds linking amino acids has been broken apart,allowing the body to absorb it rapidly. Its molecular structure has been modified,therefore it will not lead to any dairy side effects. Cysteine Peptide is created by bonding amino acid peptide with Cysteine to produce a stable substance that is more viable as a supplement. Cysteine is a semi-essential amino acid (meaning that it can be synthesised by the body but at the expense of essential amino acids,hence it's best to obtain it through supplementation) and is the most important amino acid needed for the production of the antioxidant glutathione,and research has indicated that glutathione tackles a massive range of acne causing reactive oxygen species. It hunts down lipid peroxides,free radicals,other peroxides and many more. Increasing glutathione is excellent for boosting your antioxidant supply,eliminating oxidative stress and clearing acne. But glutathione cannot be consumed,your body make it yourself,and that's where the Cysteine Peptide in Ag-Factor™ comes in. What is the difference between CERA5™ and Ag-Factor™? The key difference between CERA5™ and Ag-Factor™ is that each brings different benefits and caters to different skin needs. Ag-Factor™ is more suitable for those who want to enhance their skin tone and radiance. While CERA5™ is perfect for those who are prone to dry skin that tends to be overly sensitive,develop uneven skin tone,excessive oiliness and display various signs of prematurely aging skin,whether due to their surroundings,genetic makeup,aging skin,etc. CERA5™ has highly effective anti-aging benefits as well,but it focuses more on providing and maintaining your skin's natural moisturization through the strengthening of cells. With healthier and stronger cells,you will be able to obtain skin that is naturally beautiful and radiant. CERA5™ also protects your skin against harmful elements that you face every day,preventing signs of premature aging such as wrinkles,fine lines,age spots and more. I have been menopausal for more than a year now. But after consuming Ag-Factor™ for one month,my period came back. Is that normal? 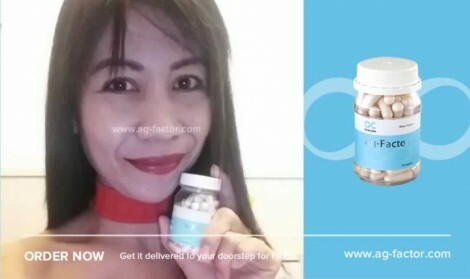 There have been many cases where we've received feedback from customers saying that after taking Ag-Factor™,their otherwise inconsistent menstrual cycle has started to become more consistent,and there have been a few cases where the customers are in the perimenopause or menopause stages,but their conditions somehow reverted after consistently taking Ag-Factor™ for a certain period of time. 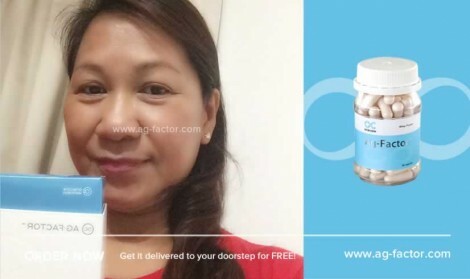 More frequently,we received feedbacks from menopausal and postmenopausal customers that Ag-Factor™ has helped to relieve the various menopause symptoms that they experience such as unwelcomed skin changes (like dry,sagging and wrinkled skin),thinning of hair,sleep disturbance,mood changes,hot flashes etc. Ag-Factor™ has a rich content of Cysteine which boost the body's natural production of Glutathione,and Glutathione has been medically proven to benefit menopause as the most important natural antioxidant that can fight oxidative stress. Research has shown that oxidative stress contributes to menopause,therefore menopause and its effects may be prevented and/or treated by improving the body's antioxidant defense. On the other hand,Glutathione has also been shown to positively influence the quality of sperm in men. This is also achieved by decreasing oxidative stress on the sensitive sperm cells and therefore minimizing their DNA damage. Therefore,other than it's well known beauty and health key benefits,Ag-Factor™ can also positively affect overall fertility. Can Glutathione be taken by mouth? Are Glutathione supplements effective? Although Glutathione supplements in various forms are widely available in the market,but they actually don't really have any significant benefits to you. 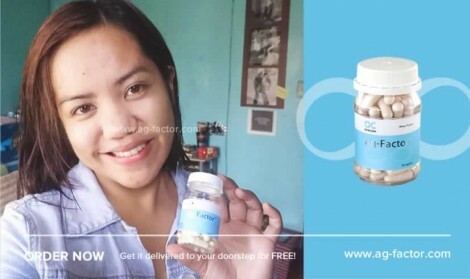 The problem with Glutathione supplements is that they are readily digested by the secretions of the stomach. Glutathione is made up of just three amino acids linked by two chemical bonds. These bonds are exactly what the protein digesting secretions of the human digestive system are designed to break. 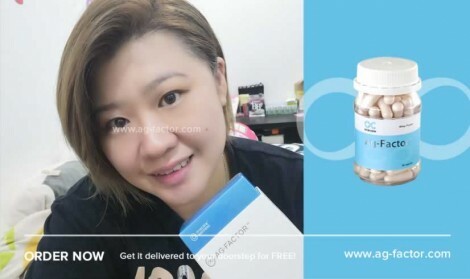 Hence,there is absolutely no value whatsoever in taking preformed Glutathione supplements because they simply get broken down into their constituents; no glutathione remains to be absorbed into the cells. 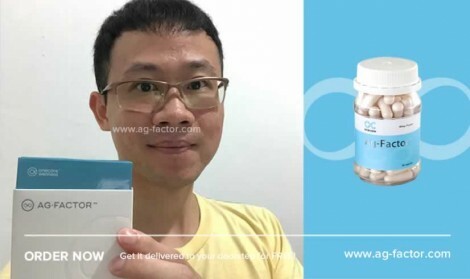 Ag-Factor on the other hand,is an intelligent supplement that utilizes Cysteine Peptides,a precursor of Glutathione,to boost the body's natural production of Glutathione by providing it with exactly what it needs to produce more Glutathione by itself. Why are the same products priced slightly differently in certain countries? First and foremost,we would like to apologize for any inconvenience that this might have caused you. There are a few completely valid reasons behind this,one of them would be due to the differences in taxes and import duties across countries. Then there's also cost of doing business in a certain country,such as the processing cost,the delivering cost,etc. that will not cost the same in every country. Therefore,we hope for your kind understanding and continual support,as we continue to do our very best to provide better products,prices,and services to every corner of the world. 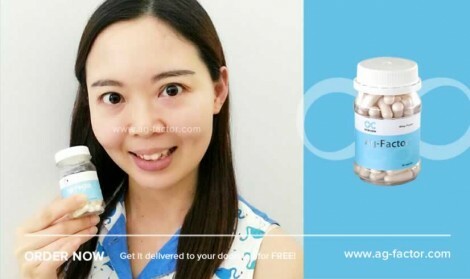 I am almost 40 and I already have freckles and eyebags,so I think Ag-Factor™ will be suitable for me. I am taking liver supplement,with Vitamin C 100mg and E 400mg. Can I replace my liver supplement with Ag-Factor? Hi thank you for your enquiry. I hope that I will be able to assist you in finding the best supplements combo that will help you achieve better skin and overall health. First of all,let me reassure you that like all of our other products,Ag-Factor™ is also made from purely natural ingredients that will not interact with any most supplements or medication. Hence,you can still consume it along with your liver supplements and Vitamin C & E if you choose to,or you may also replace your current liver supplements with Ag-Factor™ to reap all the other extra benefits that may not be offered by typical liver supplements. Not only does Ag-Factor™ boost liver health,it will also defend your skin and body from the effects and signs of aging,as well as brighten your skin tone,smoothen wrinkles,leaving your skin firmer and smoother. Furthermore,the natural properties of Ag-Factor™ and Vitamin C will complement and enhance the effects and benefits of each other. The Glutathione-activating properties of Ag-Factor™ extends the otherwise short-lived benefits of Vitamin C by converting oxidized Vitamin C back to its original form. As for the freckles and eye bag problems,you might also be able to see improvements after a certain period of consuming Ag-Factor™ regularly. Such problem may be due to hormonal changes or hormonal imbalance that takes place in our body as we aged. The good news is that Ag-Factor™ is able to help your body maintain hormonal balance and may effectively improve such skin conditions if they are in fact caused by hormonal changes in your body. I hope that I've managed to answer your questions and will help you in making the best decision. Please do not hesitate to revert back with any further questions that you might have. The Natural Way to Keep Age at Bay & Become Fairer.